Years ago, the word “dentures” conjured up images of sticky adhesive pastes and awkward chewing. But thanks to advances in dental technology, today’s dentures are more comfortable than ever before. Dental implants can be used to anchor the denture in the mouth, allowing even lower dentures to fit snugly. This will have you eating a variety of foods that are were too tough or sticky to eat with old dentures. Even just relining, or refitting, the underside of the denture can have remarkable results with a dentures functionality. If you’re in need of dentures, come to Romenesko Family Dentistry. As an established dental practice in Greenville and Kimberly, WI, our goal is to provide you with dentures that look and feel just like your natural teeth. At Romenesko Family Dentistry, we understand the importance of properly fitted dentures. That’s why we take the time to find the right dentures for patients who have suffered tooth loss. 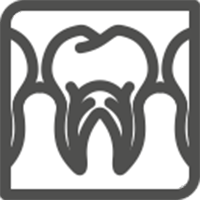 When you come to us, you’ll benefit from our caring, attentive dental staff. If you have any questions about your dentures, you can rest assured that we’ll be happy to offer up answers. Whether you’re looking to replace your current dentures or are pursuing dentures for the first time, Romenesko Family Dentistry is the place to go in Greenville, WI and Kimberly, WI. Call us today to set up your appointment.